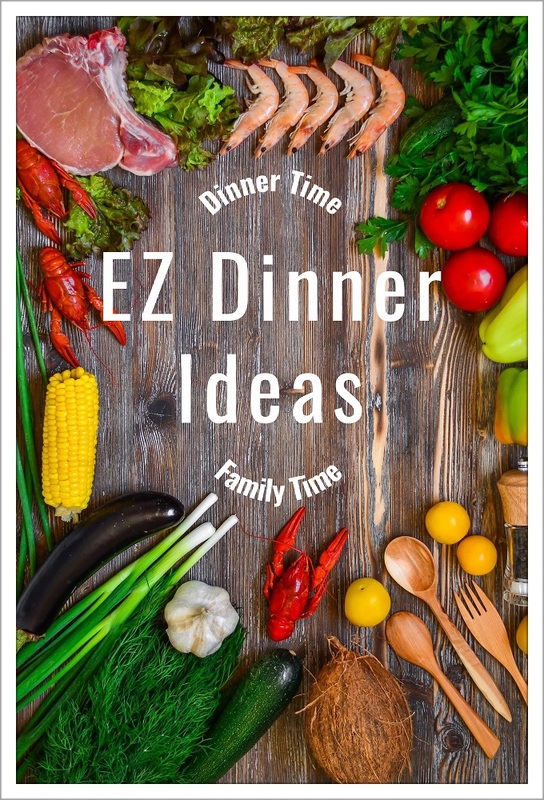 Why Easy Dinner Ideas? It is not only about food, but also friends and family. Food and family are twins. How many time in your memory that there was no food when family sat together? Rarely, right? It may be as small as a bag of chips or a few small ice-cream cones to as big as a humongous table of food that your stomach can't even fit all. Food makes conversation easier among each other. Because food, like music, is a universal language, "Dig in, eat, relax, enjoy." Every night when the whole family sit around the table, it is so much more comfortable to talk and catch up with everybody. But sometimes we got stuck and tried so hard to figure out what to prepare for dinner, brunch for Mother's Day, side dishes for cookout, food to bring to work for tree trimming breakfast, what to make for our next family gathering....the list can go on and on. Don't worry. Let me help you to take care of that. 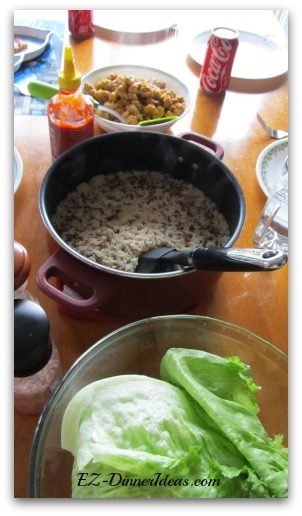 I post weekly dinner plan and shopping list to suggest you 5 home cook meals for your family. Subscribers receive exclusive tips every week. It is FREE. It goes to your email inbox automatically. Simply fill out the short form below to sign up. For your security, you need to go through 2 confirmations after subscribing. That is only a one-time process. After that, you will look out for the delivery of weekly dinner menu in your inbox. I promise to use it only to send you EZ-DinnerIdeas.com Exclusives. If your schedule fluctuates a lot and there is no way to plan for dinner, it is still ok. There are plenty of delicious and healthy recipes here. They allow you to get a family dinner on the table in 30 minutes. Remember this: Cooking is NOT a chore. It is the way to show your love, care and passion to your family and friends. Please don't let failure to scare you. Some of the recipes I posted and will post are the outcome of several failures. Cooking is like overcoming some stumbling blocks and reaching to the top which is also another accomplishment in life that YOU must be proud of. Maybe, having your little one to roll up his/her sleeves to help you in the kitchen. That's another bonding time together between parents and children. 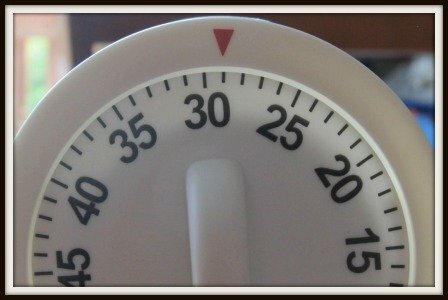 So, put away all the electronics for 30-60 minutes to have a family dinner and enjoy the quality time together. 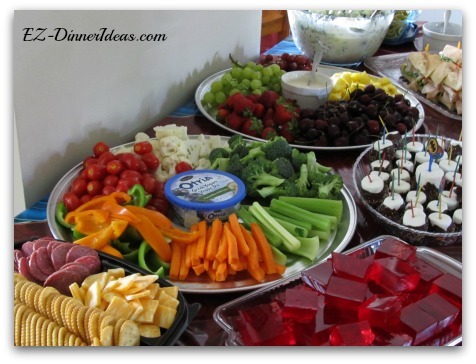 A lot of meal ideas for you to prepare for different and special occasions. There are also tons of meal ideas for different occasions. Wait....there is more. There are ideas of activities, decorations, party favors, where to find another venue for big family gathering and so forth. Why? Because this will make a HUGE difference on every special family gathering. The difference is the attention to details make the event more memorable. That memory cannot be replaced by just some pictures. Also, feeding a family, no matter when, where and/or how big the crowd is, it needs time, money and some planning. I will show you the tips and guidelines. Yes, it is all about family. As you get older, your family grows with different generations, age groups, close friends (from school and/or work) you can't live without, families from marriages and so forth. They are your support group. You need to put time to nurture it. Food is one of the ways to make our family relationship blossoms. Eating together with family has a life-long, positive impact on a child's life. I personally enjoy the benefits of it since day one and still ongoing. We sit together to have dinner every day since I was a kid. We have family dinner or lunch every week. We all come together when there are special occasions throughout the year. We love each other, support each other and enjoy each other. I want to share my life-long experiences with you and show you how to nurture it and harvest the good fruit from it for you and your family. And you, my friends, will continue to plant the seeds for next generations. Thank you for stopping by. You can stay connected through my newsletter, Facebook and Pinterest. You can ask me questions, share your photos and recipes. If you found a better way to cook a certain dish, don't be shy. I would love to hear from you. Simply scroll down to the bottom of any page and write on the comment box.